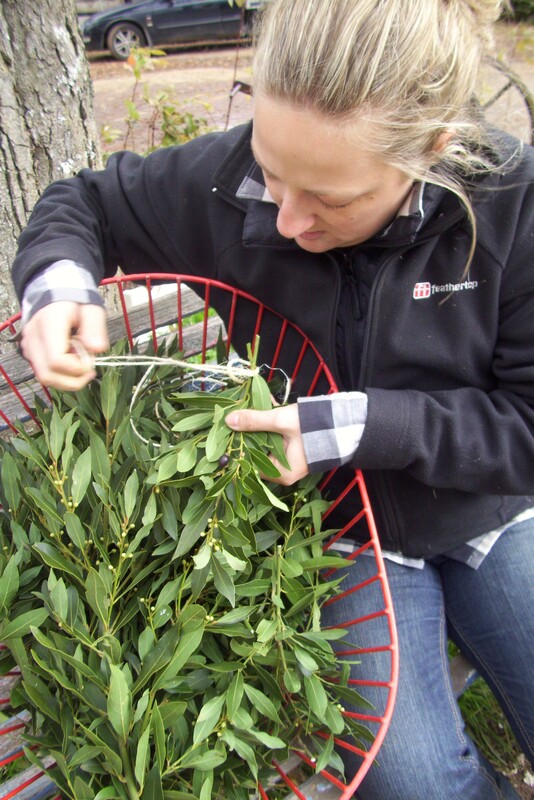 Bay Leaves – cooking, buying, growing & using | The Farm Gate by Nashdale Fruit Co. The Bay Tree (also known as Sweet Bay) is indigenous to Asia and later spread through the Mediterranean. It has long been appreciated for its culinary uses, and the Bay Laurel was also an important symbol of honour in ancient Greece and Rome (think the original Olympic gold medal!) The leaves themselves are glossy, dark green, smooth, leathery and highly aromatic when crushed. They are available all year round. Bay leaves are a slightly peppery flavoured leaf. When used fresh they are slightly bitter, and become sweeter and more pungent as they dry. 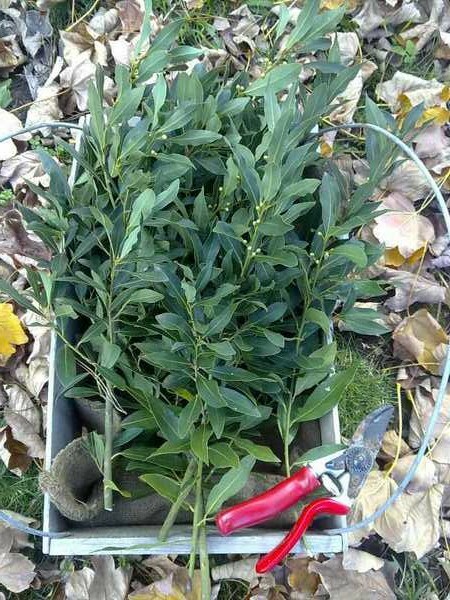 Leaves from the bay tree can be used whole or flaked, dried or fresh. For cooking purposes, they are normally used dried, and sparingly as they are quite strong. In recent times however, more of our customers have been requesting fresh leaves to use or dry themselves. It seems I’m not the only one to have wondered how long the pale, dried leaves widely available commercially have been languishing on the supermarket shelf! The leaves are used to flavour stuffings, stews, marinades, soups and especially simmered and braised dishes. 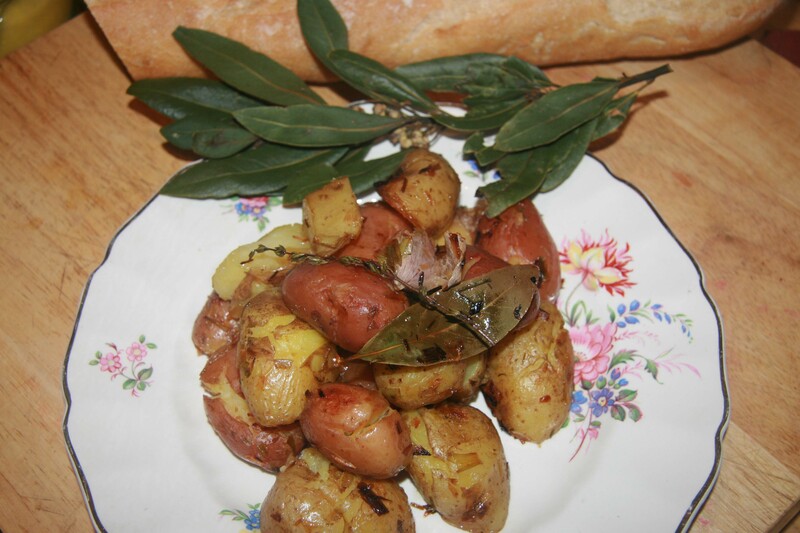 Although you do not usually eat the bay leaves themselves, using them in cooking provides a good source of Vitamin A. Bay leaves also contain a good amount of Vitamin C. When they are cooked however the amount of Vitamin C they contain greatly reduces. They are also a significant source of iron and manganese, as well as smaller amounts of calcium, potassium and magnesium. 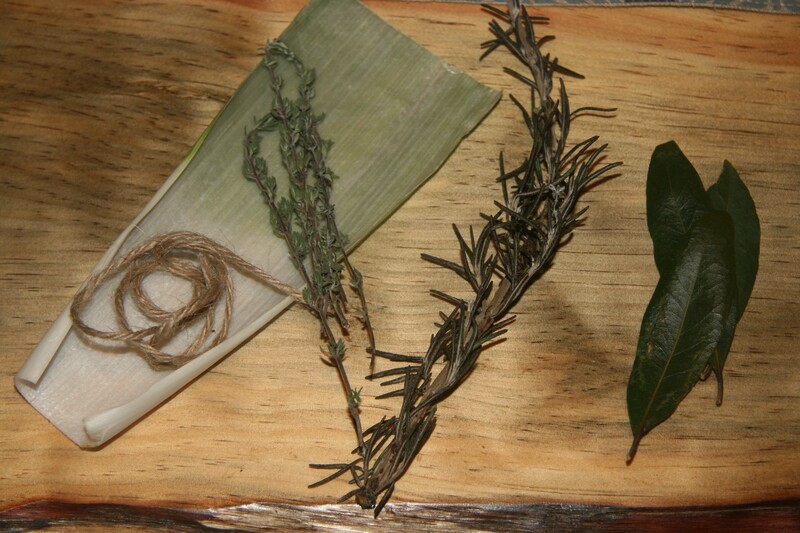 The leaves are also an essential ingredient of the bouquet garni a bundle of herbs used to flavour stocks, soups and stews, which usually includes a bay leaf, parsley stalk and a sprig of thyme. 6 garlic cloves, Australian non-bleached, dried if available (and/or 3 fresh green garlic bulbs with stalks chopped finally) unpeeled and lightly bashed. We use our own dried italian red garlic and/or green fresh garlic if dried is not available. If using fresh garlic, add it (chopped, including stalks) to the duck fat when it is being melted to soften. 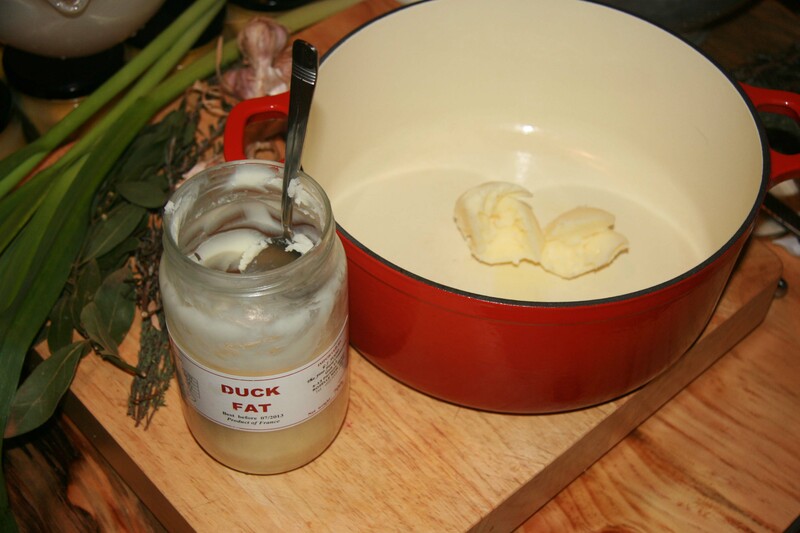 Place 3 large tablespoons of duck fat in to a pan, melt slightly and turn off heat. Transfer approximately 1/3 of fat in to a separate bowl and keep warm so it stays in a liquid form. Meanwhile par-boil potatoes. 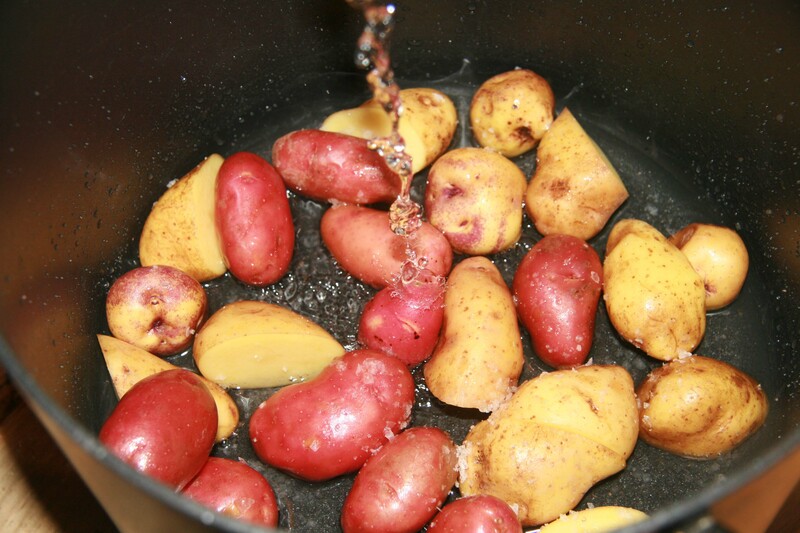 To do this, place potatoes in a saucepan and cover with cold water and a tablespoon of salt. Bring to the boil and then simmer for a further 15-20 minutes. Drain. 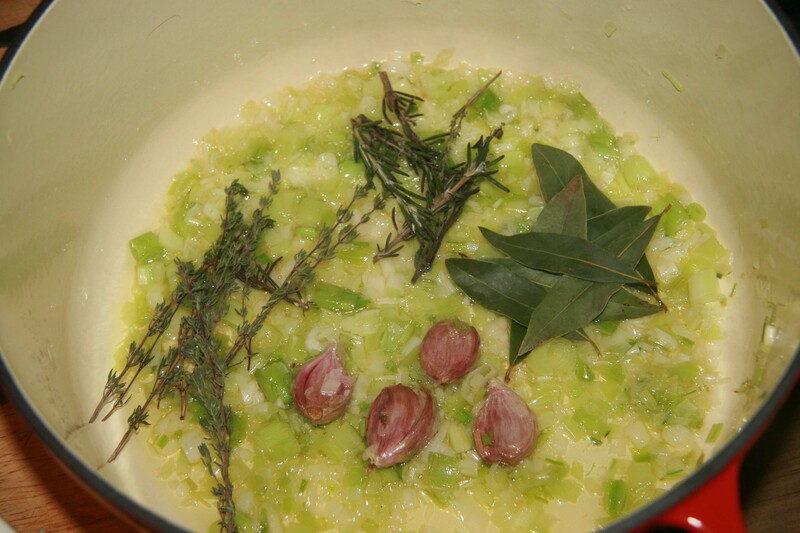 Add the bay leaves, thyme, rosemary and garlic cloves to the melted duck fat and cover well. Cook on low heat for 5-10 minutes. Flatten the potatoes slightly with your hand, add to the duck fat mixture and stir to cover well. Transfer to a baking dish if your pan is not oven safe. 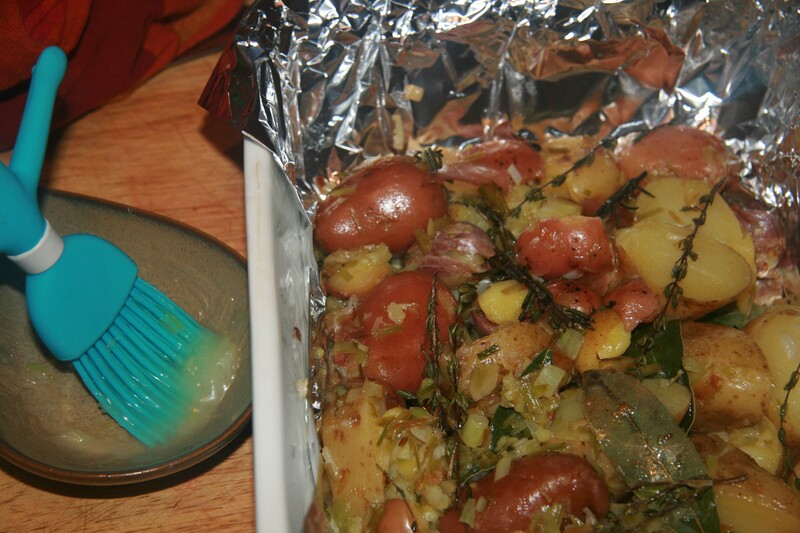 Place in the preheated oven for approximately 20 minutes or until golden. 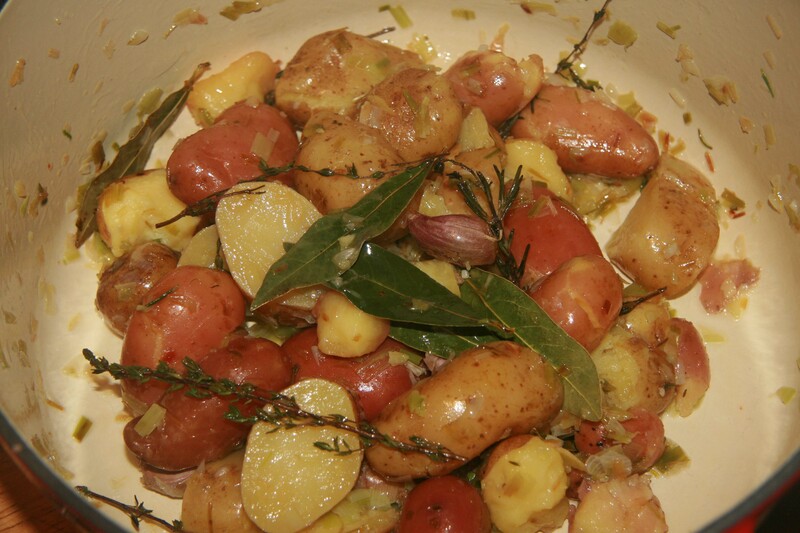 Use the separated duck fat to baste the potatoes every 5-10 minutes during roasting. If you wish season with salt and pepper. Best grown in a sunny positions, with limited access to westerly sun. This is a very hardy tree and is moderately drought tolerant. Any soil type is tolerable with good drainage. 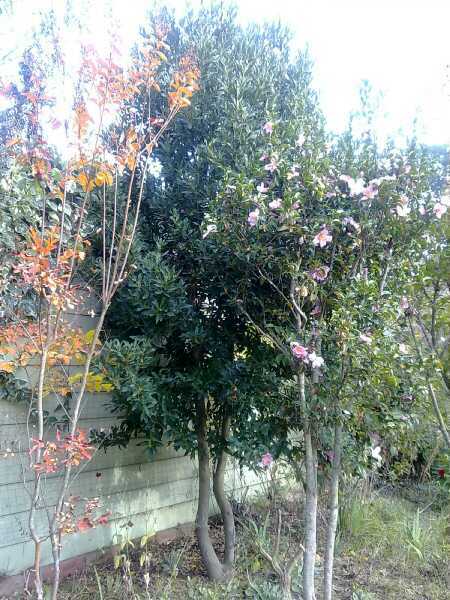 This tree/shrub can be grown in pots or containers but it will not be as vigorous as it would be in the ground. To dry fresh bay leaves hang them in a cool dry place until they are dry and then store them in an airtight bag or container out of the sunlight. they should last for up to two years. Bay leaves can be used to rid kitchen cupboards of weevils and cockroaches. The leaves are also believed to have many medicinal properties. They have been known to assist in digestion, to relive sprains and swellings, as well as relieving flu symptoms, reduce headaches and migraines. They have also been shown to help process insulin therefore leading to lower blood sugar levels. Fresh, or when buying dried leaves, buy those that are green and whole. Those that are brown have most likely lost most of their flavour. 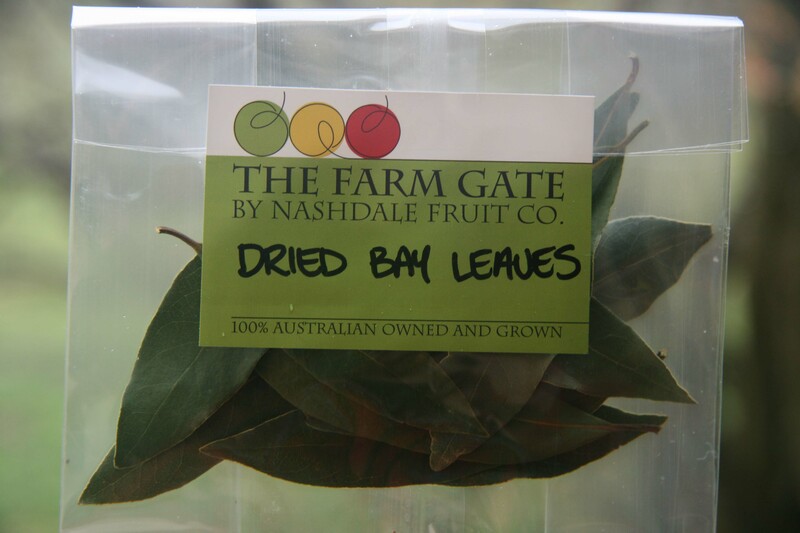 The Farm Gate by Nashdale Fruit Co has fresh bay leaves available at our Farmers Markets. We will also have dried bay leaves available by July when we will launch a wider variety of our value-added goodies. 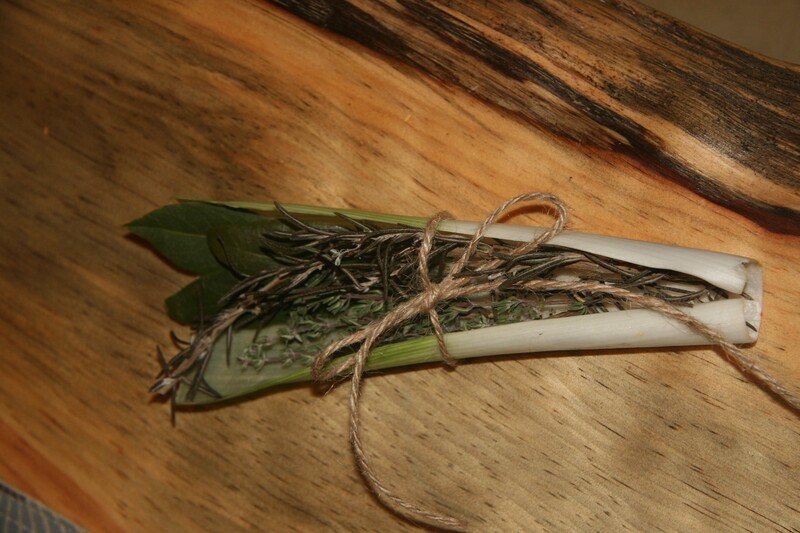 You know, I’ve never seen a Bouquet Garni wrapped in a leaf of leek before! Genius! I had my muslin ready but did not think it was very attractive on this occasion :). Plus I thought the leek may add something just a little different! When you heat Vitamin C it denatures. The amount of vitamin C in a cooked bayleaf will be much less than in the raw one. A dried bayleaf will have less vitamin C than a fresh one but most will denatured in cooking. I was lead to believe that even with the cooking process a good amount of Vitamin C still remains even with the weakening of the structure, but maybe this is not the case and it is only a small amount! I had a couple of customers over the weekend tell me how they chop up the fresh bay leaves they buy from us very (very) finely and add it to their soups and casseroles after the cooking process. If you did get quite young and fresh bay leaves however then the leaves would not be so hard, tough and crunchy. I think I will give the raw, young fresh bay leaves a try next time and see how I go with using them at the very end of the process :). I am definitely an advocate for a fresh piece of fruit a day, especially apples :). 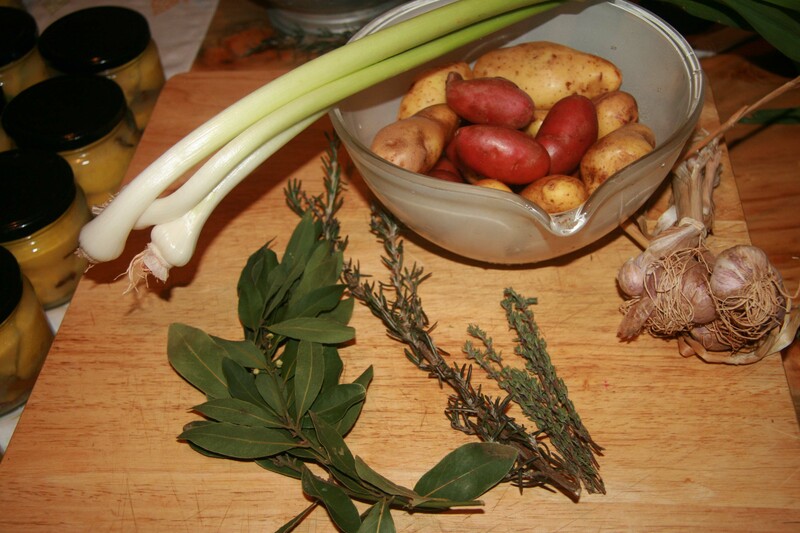 The bouquet Garni looks inspiring. After reading this I’m think of finding some fresh bay leaves for lamb stew. Thanks for sharing. Yes, I popped them in with a lamb shank stew last week and it was delic.